Mumbai Motor Show had covered all the aspects of fraternity on a beautiful red carpet tinted with glamour and prestige. It is very difficult to say that which one was the best, though all of them had equally charmed with their beautiful lines, interiors, exasperating front fascia, eye popping tail lamps etc. However, after a long brainstorming session we had came with the list of prominent beauties which are still throttling on our mindset. Veloster had topped the list because of its unique segmentation in the whole cluster. This long hatchback was draped in yellow paint job with its sumptuous length of more than four meter making it to tease everybody with the whole glory. Everything including from front grille to the tail lamp was given a full attention. It is very much unclear for this one to reach our shores officially, as the high imposition of duties on cars with more than 4 metres length proves as strong barrier. 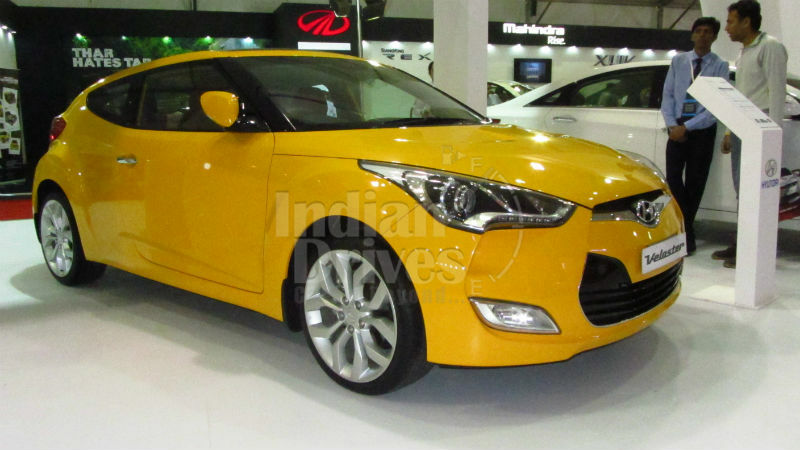 Even though if someone is thinking of getting a Hyundai Veloster here, then he had to shell out more than 2 million INR for such a thing. This much of costing figures had broken the backbone of carmakers to see through this segment and hence we are unable to see the VW Scirocco with many others. 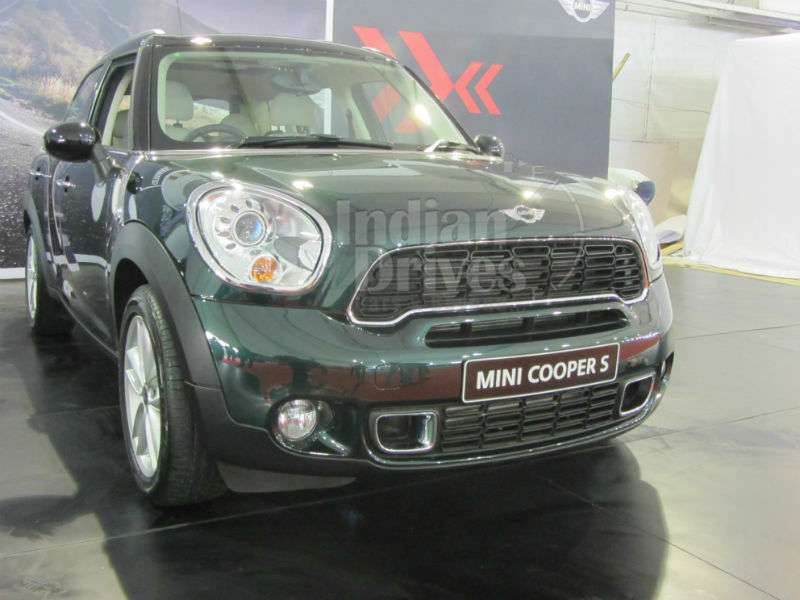 Minis are some of the remarkable entrants which had made entry in Indian after a long vying era. We all must thank BMW for rolling these miniatures on our crispy tarmacs. Though they are very small in size but can do a lot of wonders which might some bigger machines can’t do. Mini convertible, Mini S and Mini Countryman were standing in a row on the very first podium just next to entrance showering visitors with their undisputed glam. 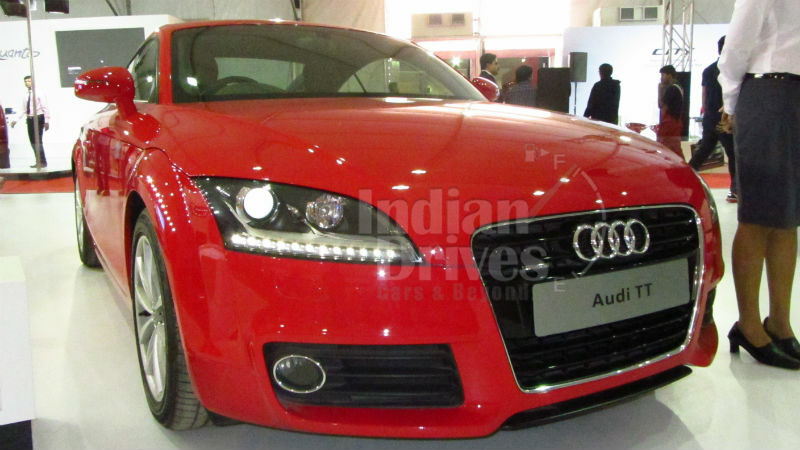 TT series of Audi is all time remarkable whenever it rolls down the road with its vying sports spirit. Not just in Coupe but TT is also known for its luxurious convertible cabins. This coupe was looking much sleek and sharp under the red sheet of plume with shinning four ringed badge marked on its forehead. 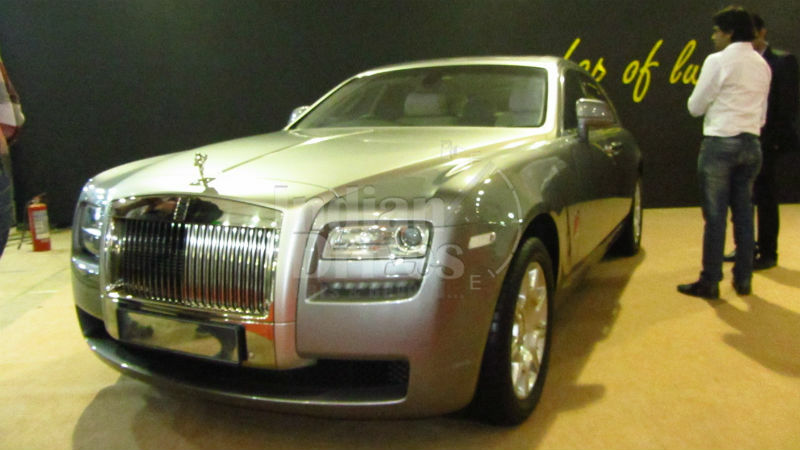 As of now, almost every Indian can rectify the moniker of Rolls Royce even though it is rarely seen on our daily commute. Ghost took the effort to splurge with its heavy metal looks at the carpet of event. It was stunningly shining with the metallic grey covershield. 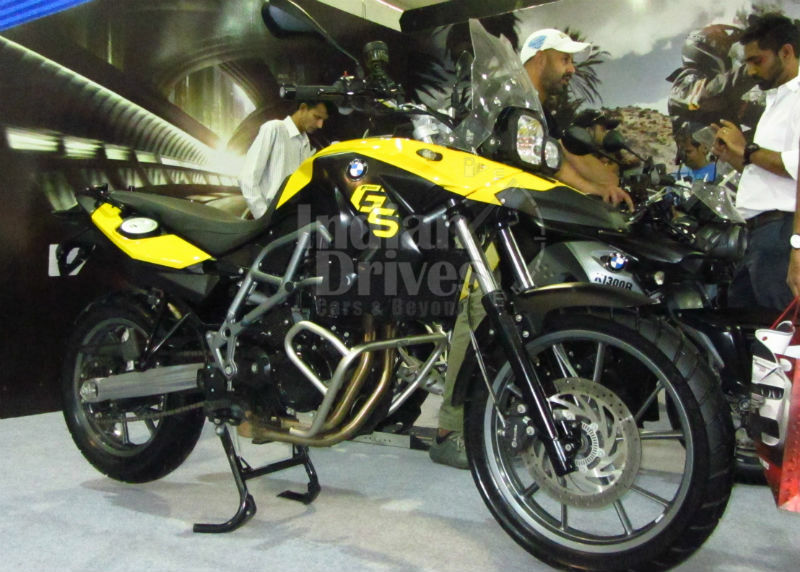 We had already seen the elder sibling of G 650 GS but this one had rolled down quite some time back to target the masses of niche biking segment. In spite of being shorter in the cubic capacity, it looks more similar to bigger ones. It can usurp everything with ease just like the whole family had done for us. 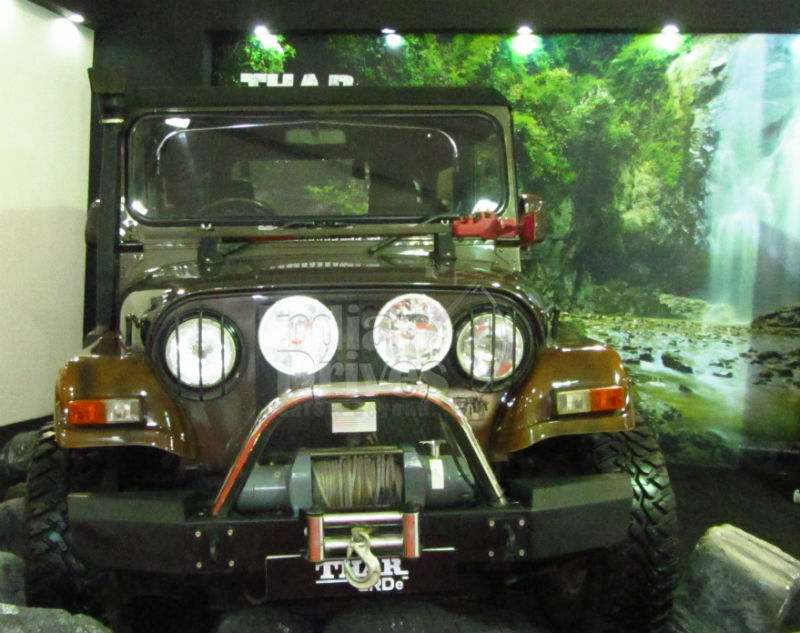 Thar is one of our favorite vehicles because it provides off roading seriousness at such a low cost. One can save a lot on pocket with Thar being taken on expedition as compared to other rugged mean machines. The new Generations 4×4 are getting uploaded with numerous temperaments to tackle every type of dirt and sludge. This off roader was standing amidst the same crumbling gravels even on the highly finished Mahindra platform to announce its dignity even more clearly.